With my new post of Toth's primer on TV Animation 'TV Cartoons', I thought I would look for a few Toth cartoons online tonight. There is no shortage of them on Youtube, etc. 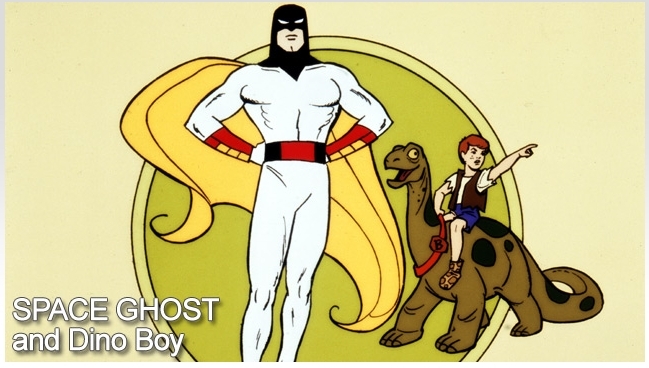 A few 'Space Ghost And Dino Boy' Cartoons are online @ theWB.com. So I thought I would start there. Unfortunately, the plots on these cartoon are non-existent, dull and the designs have been watered down by nameless animators, but the clever Toth character, creature and other designs can still be sussed out. The plots fall so far from the high-water mark that Hanna-Barbera achieved with Jonny Quest that it is really sad. You can see why Toth got frustrated with the industry. But HB shows like these clearly stood out to many of us as children. I have heard from modern animators that these shows were monumental influences that they have brought into modern cartoons. So if you have a few minutes see if you can spot Toth’s vision. Mullaney: We're in the midst of a sprawling biography of Alex Toth, titled Genius, Isolated and due out in October. We view it as sort of a bookend to our 2008 Scorchy Smith & The Art of Noel Sickles, which I think would tickle Alex, since he was such a huge Sickles fan. We're working with the approval and support of the Toth family, and in addition to detailed coverage of Alex's life story, we'll be presenting many rare or never-before-seen visuals, as well as complete reprints of several of his stories. We're excited to be offering readers new insights into the mind of Alex the man, and fresh, full-color examples of the work of Alex the artist's artist. Hey folks, here is an email I received recently. 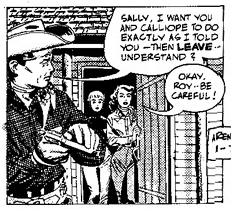 Can anyone help find good scans of the Roy Rogers strips Toth ghosted in the 60s for an upcoming Roy Rodgers comic strip book? My name is Tim Lasiuta, and I work with Hermes Press. We are putting together a Roy Rogers strip book and would like to include the Toth strips from 60/61, Sadly, we do not have good copies of the strips. Would you be willing to post a request for good scans at 600 dpi for us? Just wanted to inform you that Part One of the All Star Toth tribute podcast on SiDEBAR has been posted. Part Two will be posted shortly. It all promises to be an absolutely epic thank you to Mr. Toth! "fyi, IDW is launching a new set of Torpedo reprints this month, with new english translations by Jimmy Palmiotti and book design by Darwyn Cooke. Each volume will be hardcover, 160 pp. 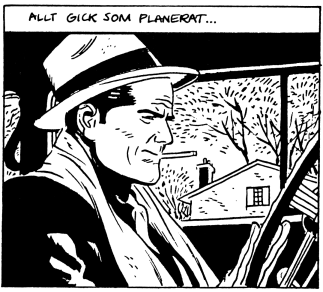 IIRC, Toth provided the art for the first two stories in Volume 1, with Jordi Bernet taking over for the remainder of the series.